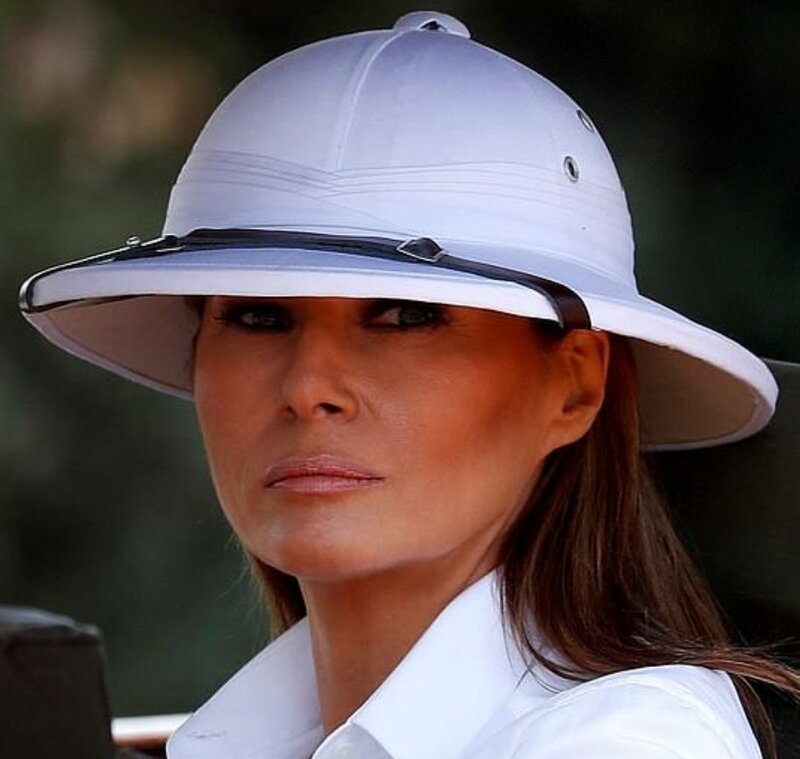 US first Lady Melania Trump is on the spot for donning colonial attire during her safari tour in Kenya. Mrs Trump wore a white pith hat, riding trousers and boots which were mostly used by the European colonial masters. Pith helmets were used by the colonial masters to cope with warmer climates, and soon became a key part of commanding officers’ uniforms, as they led local troops. It spread to white civilians and became a symbol of oppression and colonial rule. This female soldier is all of us every time we see Melania on one of her photo-ops, err, I mean "missions."